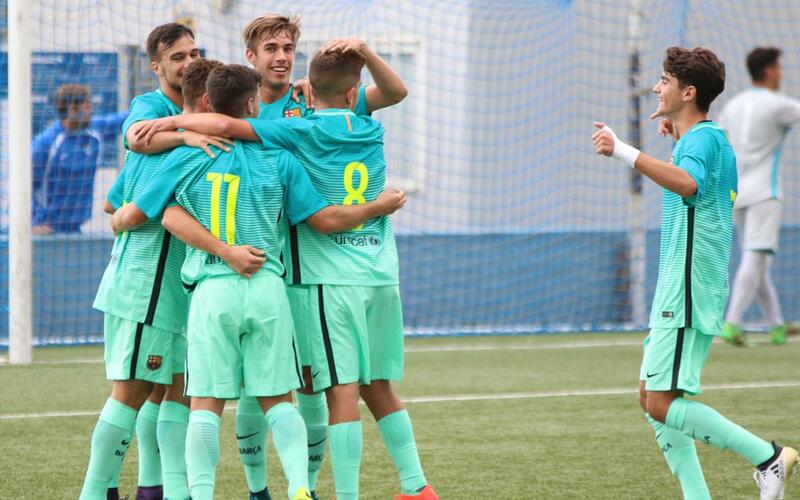 The FC Barcelona U19 team won 4-2 at Atlètic Balears on Wednesday to continue their brilliant start to the league season. After two goals from the two centre backs, Tur and Mingueza, meant they were already well in command at half-time, Collado extended that lead to 3-0 after the interval. Although the islanders then managed to pull two goals back, Carles Pérez made sure of the three points with a late fourth for the visitors. That result makes it seven wins out of seven in league play, while Espanyol’s 2-2 draw in Sabadell only makes things better for Gabri García and his team. The U19 B team also continued their 100 per cent record with a 1-0 defeat of Espanyol in the Barcelona derby. Kun scored the only goal of the game after 82 minutes.